A&S Party Rental Specializes in Casino Game Rentals! 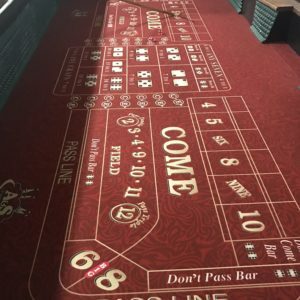 Casino Games, Casino Rentals and Monte Carlo Rentals for Casino Night Fundraisers in the Cincinnati, Dayton and Columbus Ohio area. 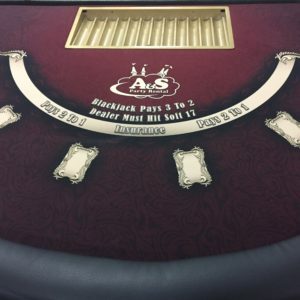 A&S Party Rental Provides the nicest Black Jack Table Rentals, Casino Rentals, Slot Machine Rentals, Roulette Table Rentals, Craps Table Rentals, Texas Holdem Rental Tables, Poker Table Rentals, Big 6 Wheel Rentals and much more. We have hosted many Monte Carlo themed events for Casino Night Fundraisers the areas finest businesses and organizations. We can create a Casino event that’s low key to the most elegant affair. We can provide a Pitt Boss for your casino night, Vegas Decorations, Lighted Palm Trees, Professional Dealers and even a DJ that can create a fun and memorable event for your guests. All of our tables are at our 40,00 Sqf showroom and you are welcome to come see for yourself. 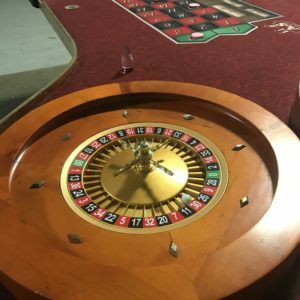 We can also provide unique, one of a kind poker chips that insures your profit margins for Monte Carlo Nights. 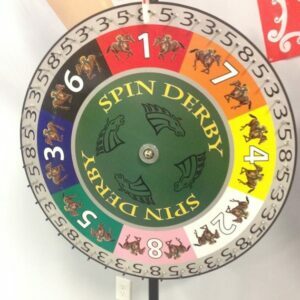 You will love A&S Party Rentals casino themed party rentals! A&S Party Rental also added our tournament slot machine rentals This year. Contestants are signed up for a round and given a seat at one of five machines. They spin for a certain time period and the person with the most money moves on the the next round. Final, the winner of the last round wins the night. These are a great add on to any fundraising event, company picnic, college event, or after prom. A&S Play Zone can bring these machines out with Texas Holdem table rentals and our other casino table rentals for a night of fun and excitement! We also have all the accessories you would need as well. 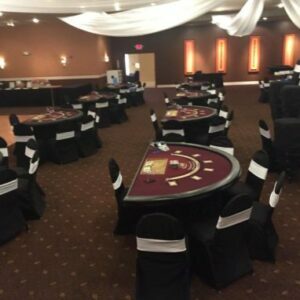 We have poker chips, professional dealers, raffle drum rentals, cash cubes rentals, bingo rentals, table rentals, chair rentals, bistro table rentals and linen rentals. Let us make your next casino night an elegant affair with all of our party rental items! We are Dayton and Cincinnati Largest Casino Gaming Rental and Equipment company. Below are a few examples of what we can bring to your next Casino Themed event or Monte Carlo Night or Casino fundraising Night: Don’t forget to rent your Poker chips. Raffle Drum Rentals……. and everything you need to create the perfect Casino Night.